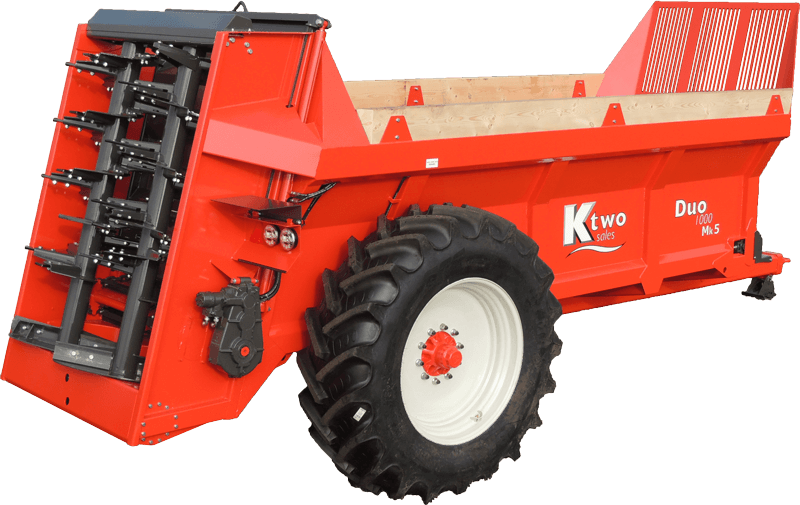 K Two Sales’ range of muck spreaders are all designed to perform and built to last using only the most exacting materials and build standards. The whole range use commercial axels and brakes as standard and the product life is extended with controlled shot blasting and finishing with 130 microns of two-pack marine specification paint. 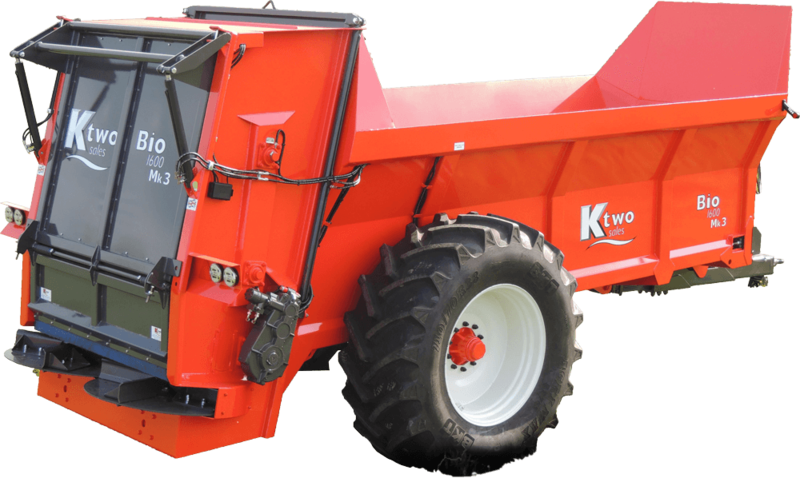 The K Two Bio Mk 3 range of twin horizontal beater rear discharge muck spreaders are designed with the most accurate of applications in mind. 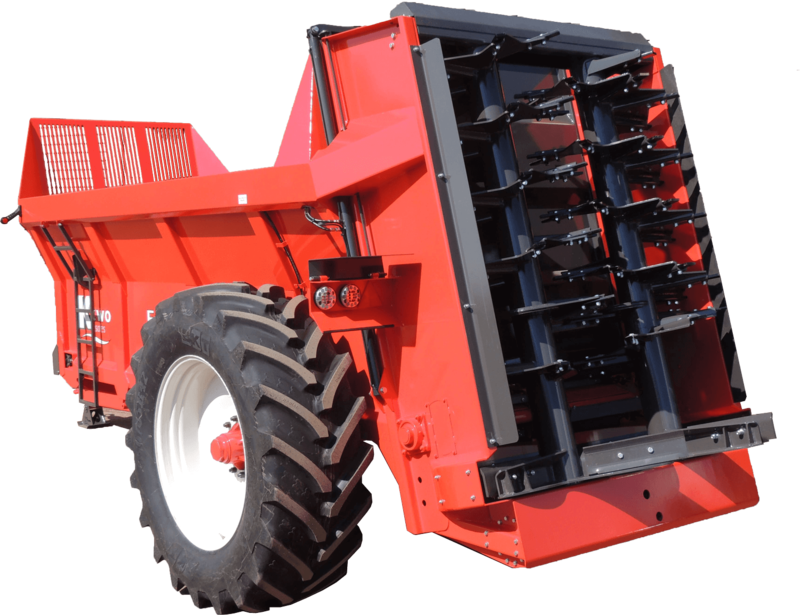 Capable of spreading a wide range of materials, these spreaders are the perfect choice when spreading higher value manures such as chicken litter at lower rates and wider working widths. Available in capacities of 14–18 tonnes (21.5–28.4 m3) and with a range of optional extras, these machines also feature an enhanced standard specification.